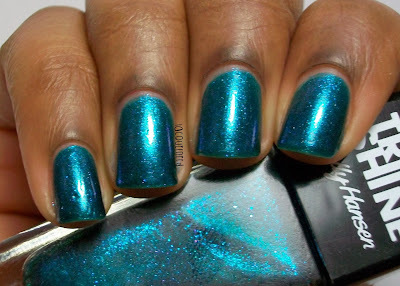 Today I have a swatch of one of Sally Hansen Triple Shine polishes Sparkling Water. I received this polish inside my Violet Box from Influenster (a full size at that!) to review. The other products I will get to next week, so look out for that post in the future! Sparkling Water is a teal jelly base with blue and purple shimmer. This is three coats with a top coat. This polish retails for $4.99. The formula for the polish was good. The application was a different story. The one thing that I hate about the polish is the bottle. 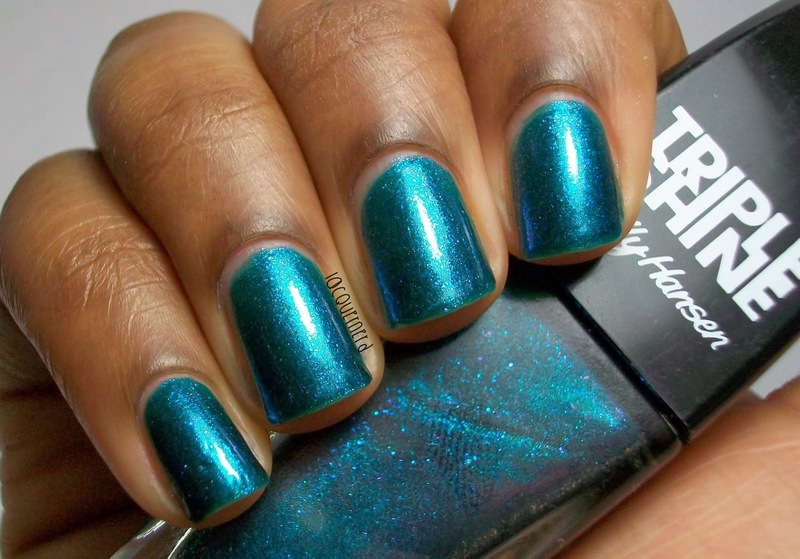 The bottle is thin and long, which is different for a polish (or at least from what I've seen). Aesthetically, it looks really nice. Unfortunately, this kind of affects the application because the bottle is thin and the brush is wide so the polish starts to clump together. It's a small thing, but when you have polish collecting on the brush each time, it gets kind of annoying. Other than that, the application was good. The bottle just kind of got in the way. I really like this polish. I don't have anything like this in my collection, so I was happy to receive this color in my box. I saw some other boxes and this is probably the most interesting one out of them all. I think I would buy some more if I had the chance. I saw some nice glitter and flakie polishes in the collection that looked really nice. What do you think of this polish? 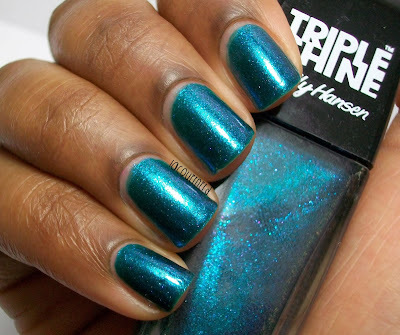 Do you own any Triple Shine polishes yet? 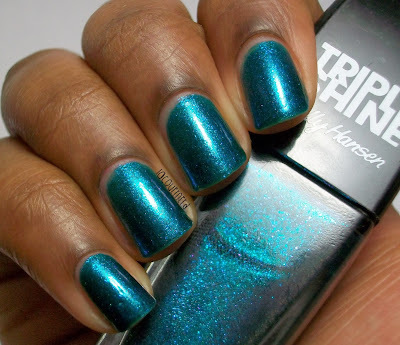 Sorry to hear about the application because wow, the colour and the sparkle are fantastic! Yeah same here. It's a great polish, but that bottle was annoying. I got through it though lol. I don't have that polish unfortunately. If I did, I would totally make a comparison post. I have 5 of them and i love them all. I will get the Sparkling water shade as well ! Thank you.